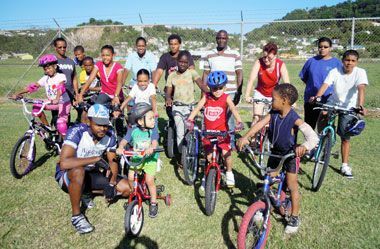 A Sailorâs Cycle Center initiative, the weekly Saturday morning programme, which is free of charge to all participants, has netted hundreds of young cyclists, as well as teenagers and even parents, who are introduced to the rudiments of cycling. From tricycles to BMXes, many have taken advantage of the programme in which they are taught proper bike control, safety, cornering techniques, sprinting and descending. Trevor âSailorâ Bailey, who is the proprietor of Sailorâs Cycle Center and the President of the St Vincent and the Grenadines Cycling Union and the Caribbean Cycling Federation, in looking back at the programme over the past 25 years, said that it has been a worthwhile effort, hence his continuation. He said that the programme is open to anyone, and stated that he has never charged a cent for the two hours of his knowledge every Saturday morning, once there is no major event taking place at the Arnos Vale venue.